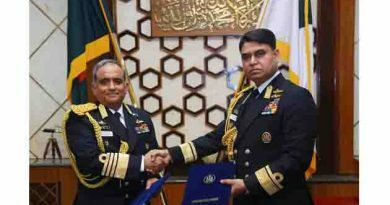 Chief of Air Staff Air Chief Marshal Masihuzzaman Serniabat, BBP, OSP, ndu, psc returned home from Malaysia on Monday (01-04-2019) after an official visit. During stay in Malaysia, Chief of Air Staff visited Malaysian Armed Forces Staff College. 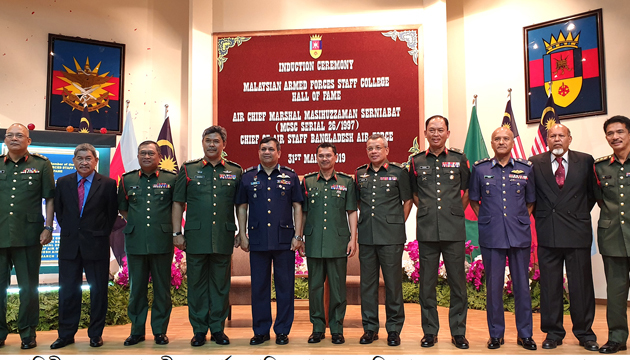 While visiting Malaysian Armed Forces Staff College, the name of Air Chief of Bangladesh Air Force has been included in Malaysian Armed Forces Staff College Hall of Fame as 13thmember through an induction ceremony arranged by Malaysian Armed Forces Staff College. After that, Chief of Air Staff gave a speech to the students of Staff College. 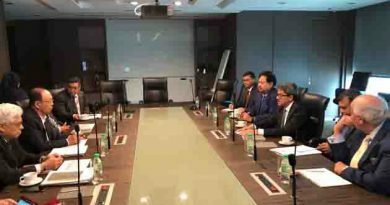 He also exchanged views with Commandant of Malaysian Armed Forces Staff College on bilateral issues. Apart from above visit, Chief of Air Staff also attended “Langkawi International Maritime & Aerospace Exhibition (LIMA)-2019” and “Air Chiefs Conference” held in Malaysia. 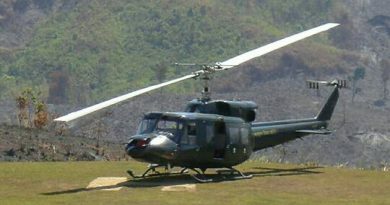 It is expected that this visit of Chief of Air Staff will play an important role for strengthening the existing relationship between the Armed Forces of two countries and modernization of BAF as well. ← The World Bank approves $100.5 million to improve public spaces in Dhaka City.